Resveratrol and curcumin are natural products with important therapeutic properties useful to treat several human diseases, including cancer. In the last years, the number of studies describing the effect of both polyphenols against cancer has increased; however, the mechanism of action in all of those cases is not completely comprehended. The unspecific effect and the ability to interfere in assays by both polyphenols make this challenge even more difficult. 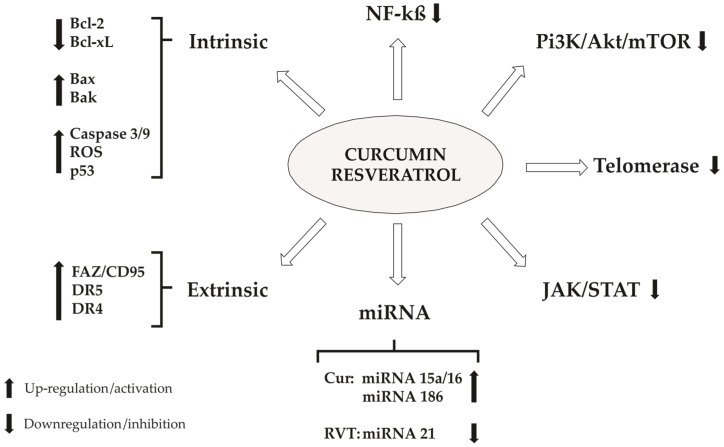 Herein, we analyzed the anticancer activity of resveratrol and curcumin reported in the literature in the last 11 years, in order to unravel the molecular mechanism of action of both compounds. Molecular targets and cellular pathways will be described. Furthermore, we also discussed the ability of these natural products act as chemopreventive and its use in association with other anticancer drugs. Papers describing curcumin and/or resveratrol are present in almost fifteen thousand of publications in the last ten years. 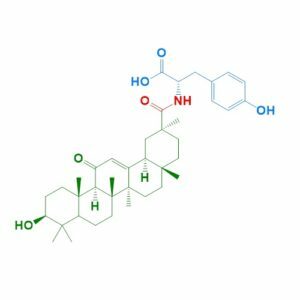 Both polyphenols have been described as promising anticancer compounds; however, the mode of action for them are still unclear and not fully comprehended. Curcumin (diferuloylmethane) is an active ingredient of the perennial herb Curcuma longa, also known as turmeric. The yellow color of this polyphenol is chemically related to its major fraction, which contains curcuminoids. Curcumin has been used for a long time in countries such as China and India as traditional medicines. This ancient remedy has brought the attention of scientific community for a wide range of beneficial properties including anti-inflammatory, antioxidant and chemopreventive.